Vulkan infos are the only ones correct for the Intel GPU. Yes I never took the time to properly fix that strange behavior (not a bug)... What I wanted is to have an overview in the GPU panel about what APIs (OpenGL, Vulkan, CUDA and PhysX) are supported on a system and if possible by which GPU. 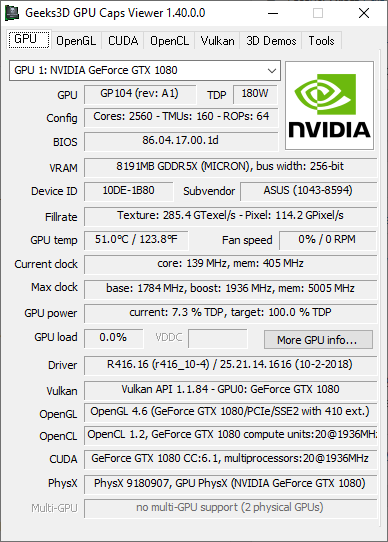 Currently I only display the first available GPU for a particular API. There is an exception for Vulkan. 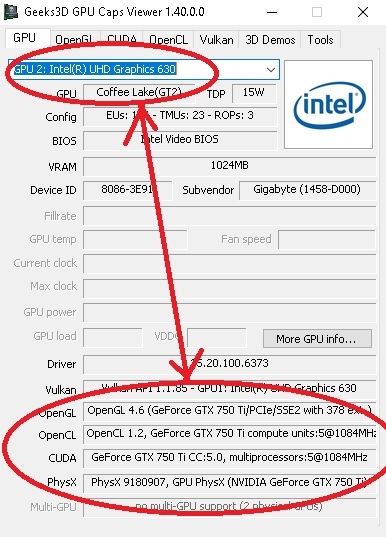 For OpenGL the information is related to the primary graphics card (the GTX 750 in your case) unless you start GPU Caps Viewer on the Intel HD 630. For CUDA, it will be always an NVIDIA GPU (I could empty the field for non-CUDA GPU). For PhysX it's either an NV GPU or the CPU (or an empty field). For OpenCL I can improve things a bit. In any case, I will work on that for one of the next releases. Thanks for the feedback! MD5 and SHA1 check out. It was a bad copy/paste. Same thing for the zip version of GPU Caps Viewer, a 1 was missing in the SHA256. 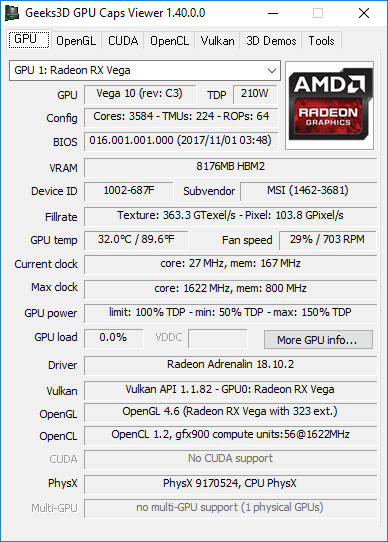 A new version of GPU Caps Viewer has been released.